The digital realm is bigger than ever before. There are tons of ways you can buy and view movies and TV shows. But keeping track of all the digital storefronts can be confusing. 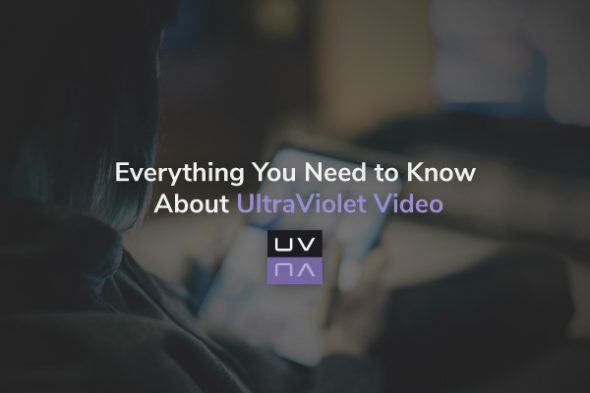 While you’ve probably heard of iTunes, Amazon and Google Play, have you heard about UltraViolet? UltraViolet isn’t a digital store. Instead, it’s a type of digital ecosystem. UV acts as a storage space in the cloud for all UltraViolet videos you own. You can play back owned videos whenever you want, as often as you want, on a wide variety of platforms and apps. Also called UVVU, all content in the digital ecosystem follows a branded set of specifications. In a way, UltraViolet is similar to a DVD. For example, when you buy a DVD, it’ll run regardless of what studio made the movie or what brand of DVD player you have at home. That’s the same with UV. A set of standards ensures your UV media will play effortlessly on any of the many UltraViolet-compatible services. Where Can I Watch UV Media? Amazon, BBC, Dreamworks, Warner Bros., Verizon FiOS, Universal and 20th Century Fox are just some of the big names committed to UltraViolet. How Does UltraViolet Video Work? Setup and operation are simple and consumer-friendly. First, you’ll need to create your personalized UltraViolet Library. Most UV participating services (Xbox Live, Roku, studio streaming services) make it easy to set up your new library. Basically, you just create login information. Your library will be accessible from practically any internet-connected device. Next, you’ll want to fill your library with movies and TV shows. Don’t worry. this isn’t a situation where you’ll need to re-buy a ton of media you already own. Your UV library might already be quite substantial. Most digital movies will be automatically available to be added to your UV library. Even most physical DVDs and Blu-Ray discs will include a digital UV version. Look for “UltraViolet version” or “Digital HD with UltraViolet” on the packaging. Physical media will include a digital proof of purchase which you simply enter into your UV library. You’ll then have instant access to your movie from all of your UltraViolet-compatible devices and hardware. How Do I Create a Digital Library? There’s no one way to sign up for a UV library. But no matter how you sign up, just one UV library is created. Once your library is created, you can use any device or method to add media to it. Most people simply use whatever service is convenient. For instance, if you bought a physical DVD of a movie which includes a digital proof of purchase, you’ll use the studio’s service to create your digital library. Your library will show a list of all the movies, TV shows and other media you own the rights to. Aside from the title of the media, additional details are displayed such as whether the video is HD or SD. The UltraViolet retailer and streaming service will also have access to this data. How Do I Play Media in My Digital Library? Basically, however you like. Video in your digital library can be streamed with any available and compatible streaming services. You can also download the video to any app or player specific to the service. This lets you play the movie even without internet access. In some cases, you can buy a physical DVD, upload your digital proof of purchase to your digital library, and then get a digital copy which you don’t internet access to play! However, there are often limitations. Services typically don’t allow you to copy a download to another app. Typically, this isn’t a huge problem. But you will have to keep track of which media is on which service if you plan to watch via download often. Generally, no. Once you claim your UV digital rights to a product, you’ll own them forever. However, content providers will often place a time limit on code redemption. Usually this limit will be a few months or even a year. But you’ll still want to redeem any UltraViolet codes right away so you don’t accidentally lose your rights. Where is UltraViolet Video Available? UltraViolet is designed to be a worldwide platform, although it’s currently most widely used in the United States and Canada. You shouldn’t have any problems accessing your UV library within one country. However, access can get a bit trickier if you’re traveling between countries. Not all devices are supported by services in every country. If you’re a frequent world-traveler, check that the device you want to use to watch media is supported in the country you’re traveling to. UltraViolet is an impressive technical achievement which allows consumers to watch their favorite media on the devices they prefer. But you really don’t have to worry about the details because UltraViolet is also designed to be incredibly user-friendly. Simply claim your UV rights on any compatible digital or physical media. Your favorite TV shows and movies are now easier to watch than ever before! ← DIRECTV vs. Verizon Fios TV – Which Is Better?